Domestly is a South African app that allows you to find and hire domestic cleaning professionals. It aims to combat unemployment and connect cleaners with clients via an easy-to-use app that will put some power back in the cleaners’ hands. The cleaners decide their own rates and work schedule – the days they can work are marked on a calendar in their profiles. Cleaners are also reviewed by previous clients and the ratings they receive are visible on their profiles. Clients pay a fee to Domestly each time they hire a cleaner – which allows cleaners to keep the rest as there is no registration fee for them. 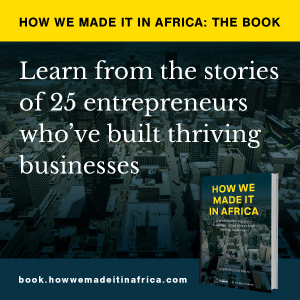 How we made it in Africa sat down with the co-founders, Berno Potgieter (CEO) and Thatoyaona Marumo (COO), to discuss their goals and what they are currently doing for the domestic cleaning space in South Africa. First off, how does the app work? Marumo: You download the app, you sign in – it’s easy to do via Facebook. Next you enter your suburb and the selected date you want somebody to come in. With every booking you have only two options – half day bookings (four hours) or full day (eight hours). You select one of the two, click ‘search’, and you get a whole list of cleaners available in that area that meet the criteria you’ve outlined. You will be able to read their bios and view the checks [into their references] that we made. Then, if you are happy with that individual, you click ‘book now’. You will be prompted to verify your location, and once that’s done, you will enter your card details and the payment is made. It’s as simple as that. Potgieter: Your request then goes to the cleaner’s smartphone and they can see the notification with the booking details and everything – and then they can accept it. What inspired Domestly? What problem are you trying to solve? Potgieter: I was home during university holidays and we had a cleaner who has been working for our family for 10 years. My family started reducing the times she was needed a week and so she wasn’t working a regular five days a week anymore. And then that’s where it started, she needed more opportunities. So it started as a platform to get her, and more people like her, opportunities. Marumo: I think it is the fact we are able to plug cleaning professionals [into our system], who are underemployed. They are readily available and willing to work, they just don’t know how to get themselves out there. How do you market yourself? How do you position yourself as somebody who is experienced, credible and reliable? And how do you access a market that wants you? Where do I find customers and where do customers find me? So we are pretty much solving that need, particularly for the unemployed. How did you finance Domestly? Potgieter: Initially when we started we were bootstrapped. And then last year December we started speaking to investors and negotiating a deal. And I think by April, we had four investors on board – Hannes van Rensburg, Ernst Hertzog, Adriaan Tromp, and Hein Carse. Potgieter: I think our biggest challenge is digital literacy. Coming into this very old industry, how do you educate people on using technology efficiently? Marumo: And how do we create a system, a full end-to-end system, where the customer makes a booking, the cleaner accepts and it happens. Because of how old school [the industry is], and that there hasn’t been really much change over the decades – we are almost fighting against, and trying to create, new rules of the game. It is a different mind-set where the ball is in the cleaner’s court. Marumo: I think the main thing for us was to launch in Cape Town and really conquer the city. Nationally, Johannesburg is next on the plate, followed by Durban. We want a strong presence in the major cities of South Africa, and then see what other pockets we can fill in the country. And then once we get that right, Africa is definitely the place to be. Because in a sense, the platform has been built to cater to the needs of developing countries. Our whole thing with Domestly is to eventually offer everything concerning your household needs – and cleaning services is our gateway. And that’s where, on the African continent, our niche element is. So it’s expansion of services followed by expansion to countries, which is great. Do you have any advice for other start-ups? Marumo: I know this sounds really cliché, but just get out there and get started. I think one thing that is really exciting is that South Africa and Africa, in light of what is happening, still remains quite an exciting place to get something done. [There is] a lot of opportunity and I am a really firm believer if you are passionate about what you do, if you are solving a real problem, and if you know there is opportunity out there, you can win. If not, there is also a lot of opportunity to learn. Potgieter: There are so many opportunities in South Africa, it is crazy. Where there is instability and issues, there is opportunity to grow businesses – that’s a big one. And there are so many problems, real world problems. In the States you have got social networks and so on, that are not really solving any big problems – but here you have got big problems you can solve. Just go do it.